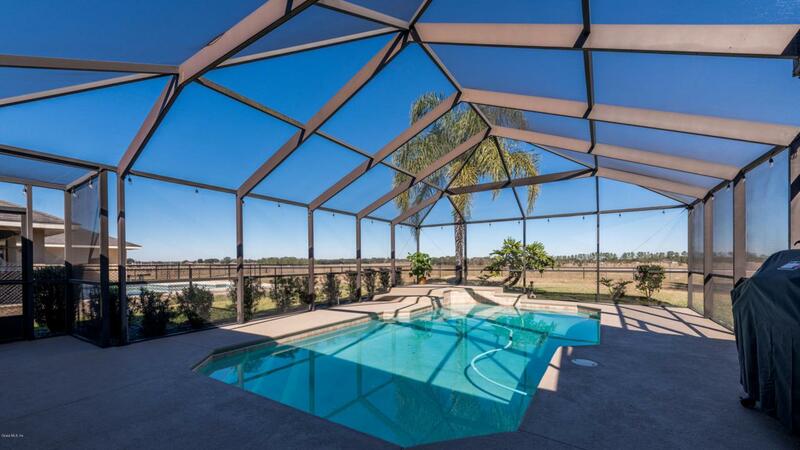 You will feel right at home in this luxurious custom-built pool home. Home offers three spacious bedrooms with walk-in closets, two and a half bathrooms and an oversized two-car garage with access to the large inside laundry room. Light, bright and open concept floor plan with huge windows throughout this large home. Kitchen features solid wood cabinets, a large island, full sized double oven, stainless appliances, gas cooktop, and recessed lighting. The kitchen overlooks the large family room making this the perfect space for entertaining. 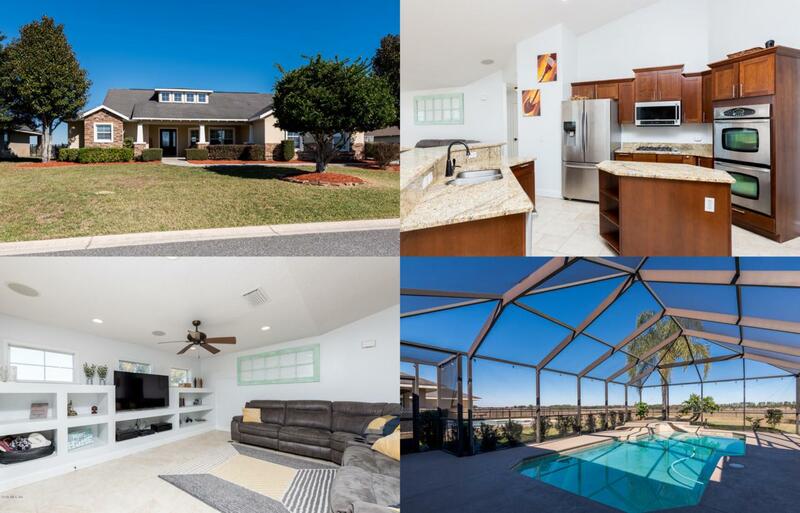 Home boasts a beautifully landscaped front yard with great curb appeal on a cul-de-sac.You will enjoy spending time in the peaceful, private large covered patio with an awesome view overlooking the incredible in ground salt pool and the fenced backyard with low maintenance landscaping. This home sits on almost a half of an acre with lots of possibilities for your growing family. Tile through the main living areas, carpet in the bedrooms, and granite countertops throughout. 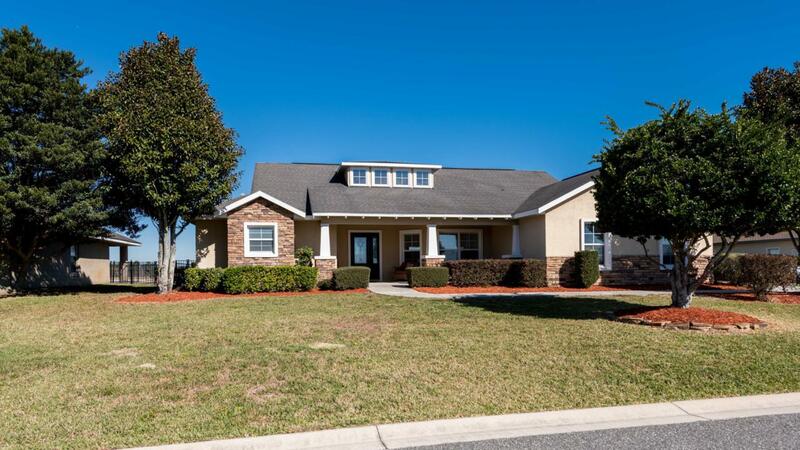 This home is centrally located between Ocala and The Villages in the highly sought after gated family-friendly neighborhood of Fountains at Golf Park. The neighborhood has wonderful landscaping, a walking path, and soothing fountains on each street. 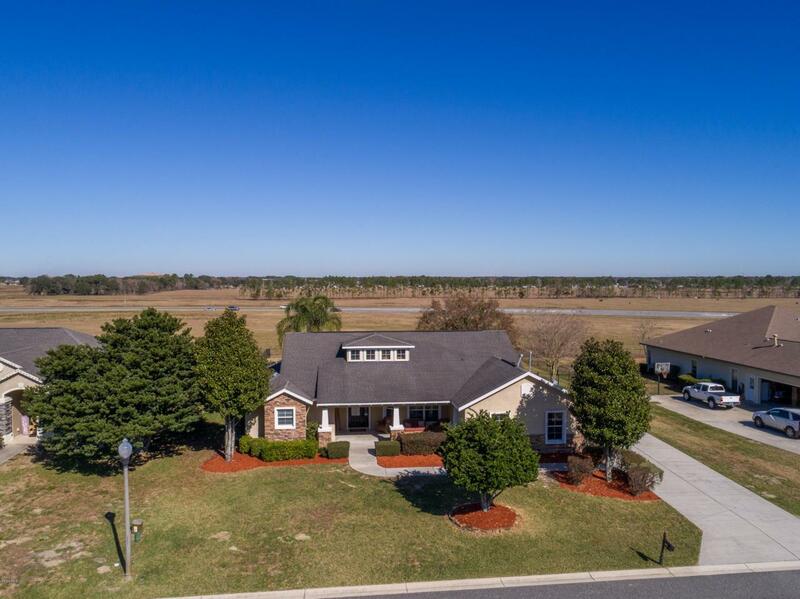 The very well maintained community is only a couple miles from Publix, restaurants, banks, schools, and less than ten minutes from everything else. You can't beat this location. This home really has it all from the amazing features, quiet neighborhood and the closeness of great schools, food, shopping and parks. It's hard to list all the indoor and outdoor features of this stunning move-in ready home so schedule a tour today. But hurry! Homes this amazing do not stay on the market long!